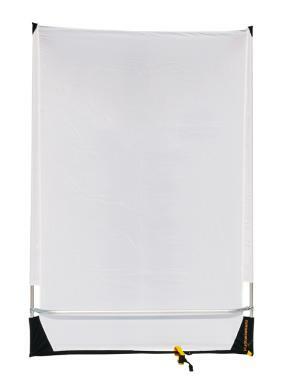 The Sunbounce Sun-Swatter Pro Starter Kit resembles a huge fly swatter with a 2/3 diffusion translucent light-softening material stretched across an aluminum frame and supported by a pole extender. It is ideal for gripping overhead on sunny days to prevent deep shadows or simply provide relief for your subject. 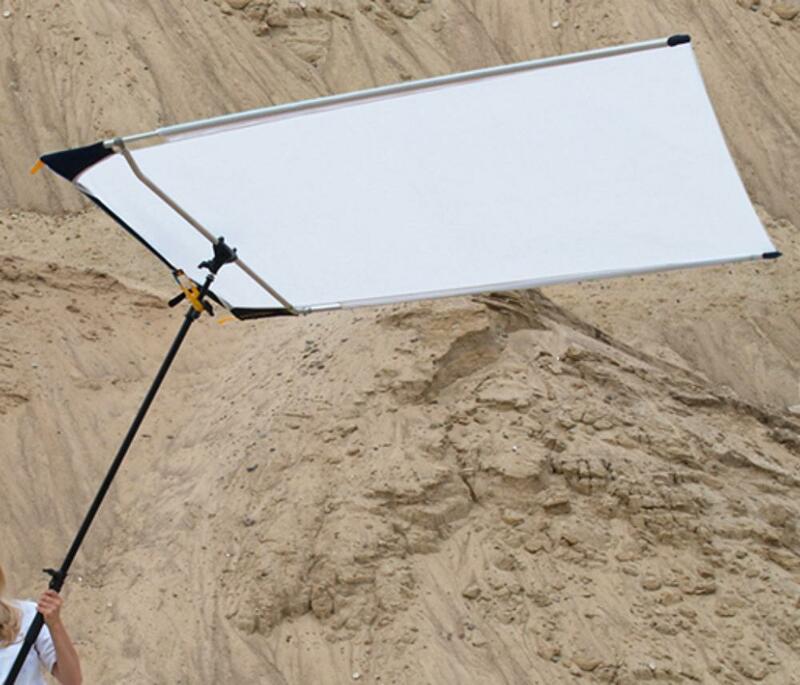 It can also be used to soften even further your existing softboxes and umbrella modifiers. It's a portable and handy scrim for both outdoor and indoor sets and for both photographers and videographers – just note that it should not be placed near hot lights. • Not designed for use with hot lights.